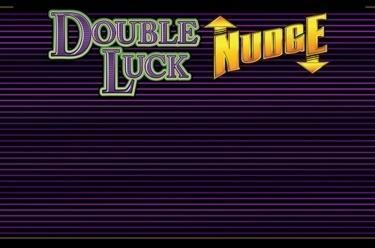 Play Double Luck Nudge online for free now! It doesn't always have to be complex features and numerous bonus rounds: Sometimes a little nudge in the right direction is all it takes to get the ball rolling! Double Luck Nudge is just the game for you if you like to ask for Lady Luck's blessing twice: Arrow symbols that move the reels up- or downwards grant you a second winning chance following a failed spin and might cause a Twist flood in your account! It's dead easy: All you need for a win with Double Luck Nudge is to land 3 winning symbols along the line running from left to right. Keep an eye on the '2X' symbol: It can match all other symbols on the win line and increase your winning chances. Moreover, when it lands 1 x it pays double line wins, when it lands 2 x it even pays quadruple line wins! The cherry is rather frugal and already grants you Twists when only appearing 1 x or 2 x on the win line. Double Luck Nudge comes with arrow symbols – regular symbols with an arrow pointing up- or downwards. If symbols with an arrow pointing down land above the win line, the reels showing the double symbol move one position downwards. 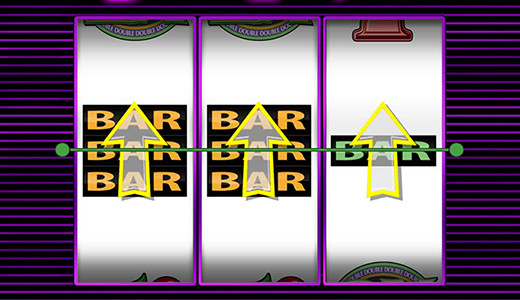 Symbols with an arrow pointing up that appear below the win line move the relevant reels one position up. Thanks to this feature even an unsuccessful spin can result in a correct symbol combo!